Anne Curtis: "In this time and age where everyone is so passionate about 'freedom of speech' people seem to have forgotten the difference between freedom of speech and cyber bullying. I stand with @lizzzuy as she makes a statement #StopTheHate"
Bea Alonzo: "Stop cyber bullying!!! @lizzzuy"
Isabelle Daza: "To support @lizzzuy I will stand by her as I have witnessed these rumors being spread with my very own eyes and ears. Doing 'your job' by trying to bring down someone else's reputation is just wrong! Let's #StopTheHate." Georgina Wilson: "Today I am proud of one of my best friends @lizzzuy for standing up for an issue that has gone ignored for far too long. As public figures we know that criticism comes with the job but that doesn't give anyone the right to constantly cyber bully and post hate perpetuating false stories. I have personally been victimized by this blog's malicious reporting and bashing as I'm sure many others have and it is time that we all take a stance and bring awareness to this unethical and negligent reporting. Be responsible with what you post and what you support online. #stopthehate NOW." James Reid: "Support fair and responsible journalism. Remember there are people who profit from your negativity and harmful rumors... and that's just messed up so... #StopTheHate #NoOneLovesAHater lol." Nadine Lustre: "Let's all be responsible. No nega! 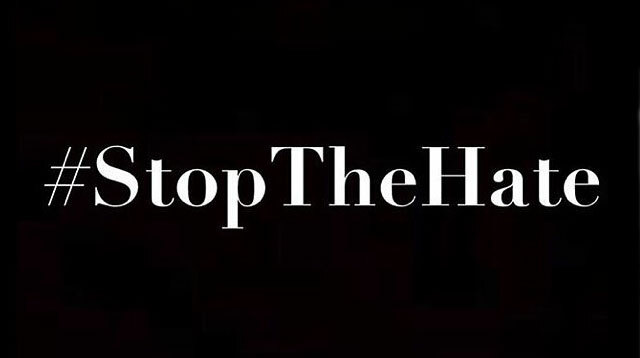 #StopTheHate"
Solenn Heussaff: "In support of @lizzzuy's fight against online irresponsibility, and to those who have been victimized by cyberbullying, I encourage all of you to spread positivity and #StopTheHate. Boycott sites and individuals whose only intent and purpose is to bring others down by spreading malicious and made-up stories. #StopTheHate." "The first day that I got to visit you all is a day that I never will forget. And that's because given the opportunity to sit in one of the support groups I walked away with a feeling of self-love that I have never been able to even give myself before. Because, you know my life until that point, I was subconsciously convinced that I had to label myself. Because everything in our life has to have a name. Everything in our life is something but I'm not a thing. We're not a thing. We're humans with feelings that change just like this weather—which we've gotta do something about, and I'm not alone. 5 Justin Bieber has a new song! It's called "Love Yourself" and it's cowritten by Ed Sheeran. Check it out and let us know what you think!